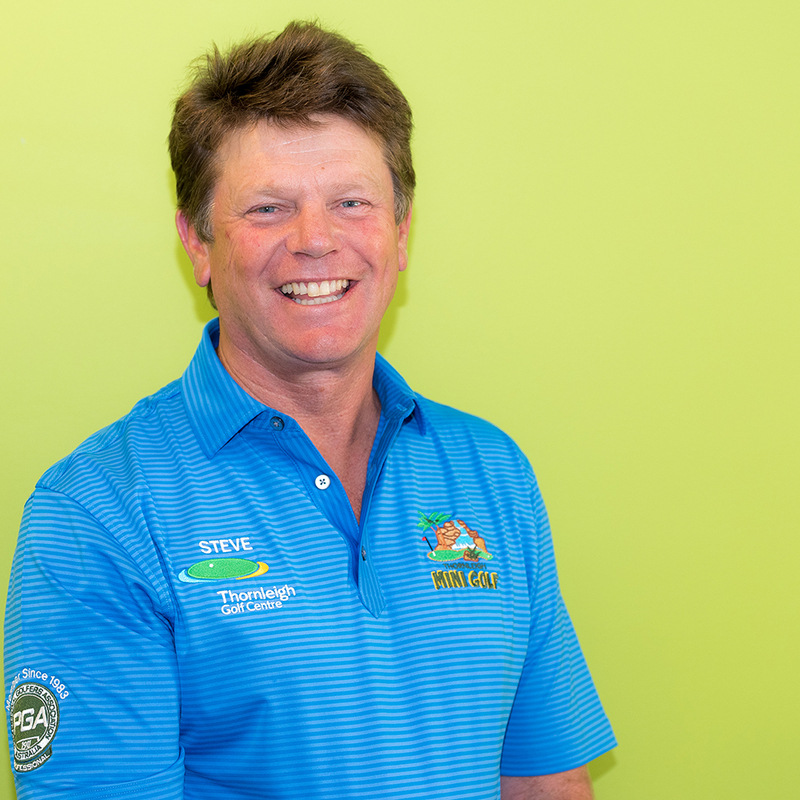 One of our golf instructors is Steve – a local guy who attended James Ruse High School and started his apprenticeship at Pymble Golf Club and finished his time at Chatswood Golf Club. After a couple of years on tour, Steve realised he had to work harder on his game, but there was nowhere local to practice. In 1986, with the expertise of fellow Golf Professional Mike Kelly and Tom Linskey, the Cherrybrook Golf Range was opened. With hard practice, Steve had some success in local tournaments. From 1984 to 1993 Steve played 3 Australian Opens tournaments, as well as playing tournaments all over Australia and in the South Pacific, winning over 50 Pro-Ams during this time. In 1993, Steve took up the position of Club Professional at Dubbo Golf Club, which he helped develop into a great 27 hole course. Steve travelled throughout the bush servicing over 15 clubs teaching and running over 70 Holden Scrambles and Pro Ams in Bourke and Lightning Ridge. Steve returned to Sydney in 2007 and started on the major construction of Thornleigh Golf Centre, which opened in August 2012. Get the basics right and work on a balanced connected swing. He sees too many people hitting balls and they don’t know where they are aiming or where the ball should be positioned in their stance. If you are aimed straight you can work on the fundamentals. With an athletic set up the arms stay in front of your body. If you have a connected swing, there is no strain on the muscles or joints. Angles produce errant golf shots. The body cannot work properly if you have angles. Teaching Professional Cherrybrook Golf range 1986 to 1992. Teaching Professional Castle Hill Country Club 1992 to 1993. Won Mt Hagen Open, New Guinea. Course records 8 under at both Bowral and Katoomba Golf Clubs. 1991 won Most tournament wins in a year 11, still a record amount of wins in a year. Taught in PNG, Vanuatu and Australian Golf Schools. 11 Juniors of Dubbo are Golf Professionals. 2 girls are LPGA members.